Indian auto major, Bajaj Auto has announced the launch of its new range of RE three-wheelers on Thursday in the Indian market. RC Maheshwari, President, Commercial Vehicles claimed that the company already has a 85 per ent share inthe three-wheeler segment and the launch of the new series is expected to consolidate its position as a dominant player in the country. The company estimates shows that about 45,000 vehicles are to be replaced and in Delhi 45,000 permits are to be renewed. the new models will offer improved mileage, changed styling and lower maintenance costs. Rajiv Bajaj, Managing Director, Bajaj Auto said that the company announced the new range after receiving demands from various markets. 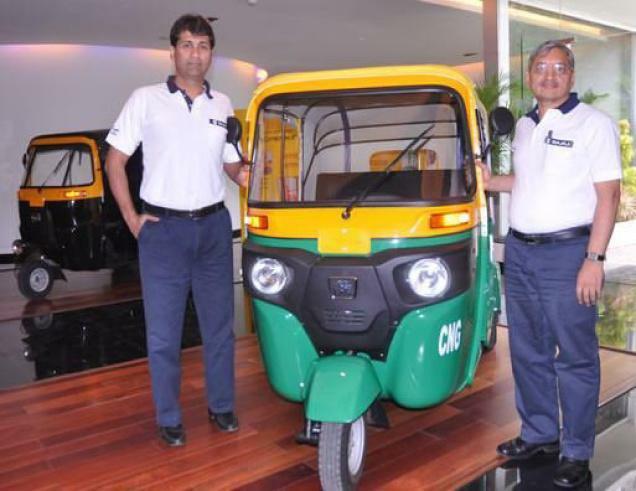 The company said that the new RE Compact autorickshaws will benefit customers as the models will be 10-15 per cent more fuel efficient and it would need lesser maintenance cost. The company claimed that it would require changing of oil after every 10,000 km as instead of 5,000 km at present.